Day 1. Meet with a driver only upon arrival at Incheon international airport. Transfer to Hotel with a driver only. Day 2. Breakfast at hotel. Meet with a tour guide and visit to Blue House(Pass by), Gyeongbok palace and National folklore museum(Deoksu palace on Tuesdays), Jogyesa temple, Ginseng center, Lunch, Korea Folk Village(Seat in coach tour). Day 3. Breakfast at hotel. Meet with a driver only and transfer to Seoul station to board a bullet train. Meet with a English speaking driving tour guide upon arrival. 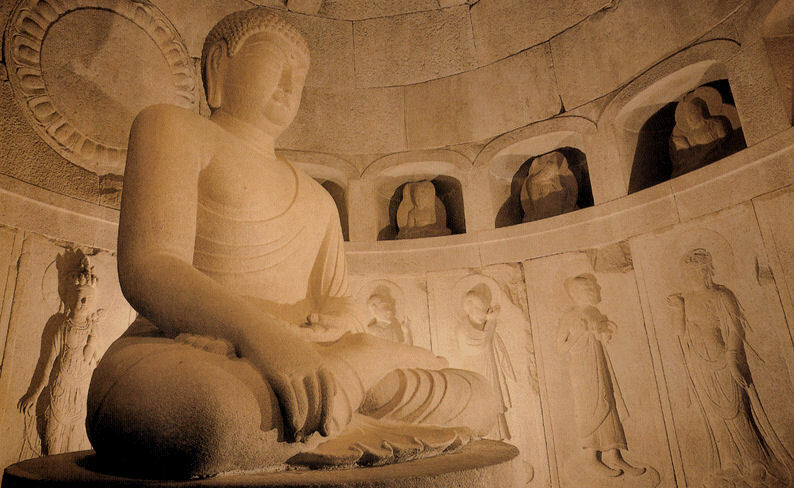 Visit to Seogguram grotto, Bulguksa temple, Gyeongju national museum(Private tour). Day 4. Breakfast at hotel. Meet with a driving tour guide at Hotel and transfer to express bus terminal to board a Express bus going to Busan. Meet with a English speaking driving tour guide upon arrival. Visit to Yongdusan park, Taejongdae park, Jagalchi fish market, Kukje market, Haedong yonggungsa temple(Private tour).